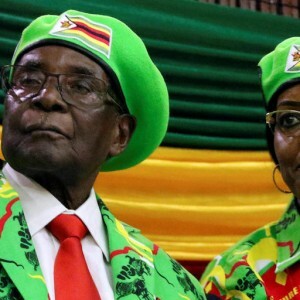 Can new leaders fix Zimbabwe’s Potemkin economy? ZANU-PF has, however, been making a very good go of doing precisely that. The official position is one of optimism, based on a bumper harvest from the last season and rising international commodity prices, which have seen the value of exports rising from US$2.8 billion to over US$4 billion. Protectionist bans on select imports caused the trade deficit to drop by a billion to US$2.3 billion. The stock market is enjoying an unprecedented bull run, soaring through what was previously seen as a ceiling of six billion. At a casual glance, Zimbabwe is looking pretty good. Unfortunately, in the inverted world of Zimbabwe, bull runs on the bourse are a portent of doom rather than boom; an indicator of a desperate need for assets to guard against anticipated hyperinflation. Hyperinflation? Did Zimbabwe not dollarise precisely to cure that evil after its own currency was printed out of existence? It did, but the Mugabe administration has found another way to create money out of nothing to fund the trade and successive budget deficits. The post-2013 period has been marked by company closures, and manufacturing firms that have remained open have an average capacity utilisation of only 45% and falling. There has been a slew of worker retrenchments. Zimbabwe’s toxic ‘indigenisation’ policies have also kept foreign direct investment at bay. All this means sharply reduced government tax revenue, but no austerity measures. Just last month the government announced the purchase of 226 twin cabs for the country’s traditional chiefs who, with elections next year, will help secure the rural vote for ZANU-PF. The resultant budget deficit is funded through the issuance of Treasury Bills, with US$4.4 billion issued in the past three years and current stock at over US$2.5 billion, amounting to 64% of the tiny US$3.9 billion national budget. Banks have soaked up most of the bills and are hugely exposed to a default on their maturation, which would also strip the veneer of strength from their asset registers. However, the government has assured the nervy business community that a default won’t happen. Default is avoided by the simple expedient of government directives to the Reserve Bank to enter electronic credits into the books of those holding maturing bills. The book entries are not backed by anything more than an IOU from the government to the Reserve Bank. In this way, billions of dollars of ‘cyber money’ have been created. Two invariable laws of economics have now kicked in. One is that when money supply is expanded without material backing, the value of the monetary unit depreciates proportionately; and the second is that bad money drives out good – Gresham’s law. In accordance with Gresham’s law, the number of real US dollar notes in the banking system has dropped to unworkable levels. No one wants to put real dollars into the system and have them exchanged by the government for cyber money. US dollars are kept offshore wherever possible, US dollar receipts are reduced through imaginative price transfer arrangements by exporters, and US dollar notes are smuggled out of the country or jealously hoarded in pillows and under mattresses. When depositors arrive to draw cash from their banks, they are told that only cyber money is available and all commercial transactions must be done through electronic transfers. A few customers who queue for hours may get $20 – issued as a bag of coins. The first attempt to deal with the cash shortage was to print ersatz US dollars called ‘bond notes’, officially on a par with the US dollars they seek to replenish. However, ‘bad’ cyber money has likewise driven these (better) notes out of the banking system. The cash shortages have resulted in a thriving black market, with exchanges between three basic tiers of value – US dollar notes, bond notes and cyber money. On 22 September, social media reports that thousands of freshly minted bond notes had appeared on the black market, went viral. The notes appeared to have emanated from the formal banking sector. Interventions by the formal banking sector in the black market to commandeer hard currency was a distinctive feature of the hyperinflationary period of 2008. The public had every reason to believe those days had returned and responded with panic-buying of imported products. Petrol stations ran dry. The black market value of cyber money and bond notes crashed, now discounted at 65% and 40% against real US dollars respectively. Real US dollars are needed to import fuel and electricity, components for locally manufactured goods and 70% of products on supermarket shelves. To secure this hard cash, the government captures US dollar receipts from exporters. The exporters’ captured real US dollars are distributed to importers by the Reserve Bank according to a ‘priority list’. But there is not enough to go around, or if it does come around, it’s too late. Zimbabwean firms dependent on imports either halt operations while waiting for their hard currency allocation or approach the black market. The 65% premium on the real US dollars sourced in this way is then passed on to the consumer in price hikes. The government is frantically trying to maintain the façade that the three modes of exchange remain on a par with each other. In reality, all salaries paid in cyber money have been drastically reduced in value, and decline further with every dollar of cyber money the government creates. If the trend continues, eventually the government will have to acknowledge the depreciated purchasing power of civil servants’ wages, which already gobble over 90% of government revenue, and award increases. The increased wage bill will have to be financed by the creation of more cyber money, further driving the inflationary cycle, and accelerating an economic death spiral where civil servants’ wages will ultimately buy little more than a can of locally produced baked beans – if the manufacturer is still operating. In 2008, the problem was solved through dollarisation. No one seems to know what the solution is this time around.